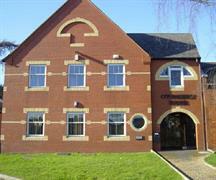 First floor rear office suite arranged mainly as open plan plus three partitioned executive offices plus storage room. Male and female WC’s and kitchen area are shared with the other occupants on the first floor. The offices are air conditioned/heated, fully carpeted and double glazed. Available on a full repairing and insuring lease for a term to be agreed at £13,500 pa. Situated in a good position in Woodford Green on Broomhill Road close to the junction with Johnston Road. Broomhill Road runs parallel to High Road Woodford Green where a number of shops, restaurants/cafes are located. The nearest station is Woodford underground station (Central Line) and access to the motorway is via the M11 at Loughton or the M25 at Waltham Abbey.